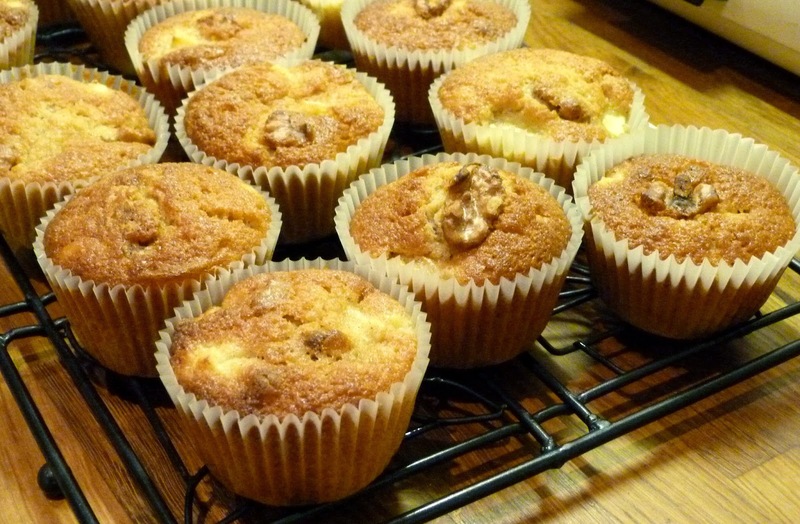 What do you do if you fancy doing a bit of baking and have some walnuts and a couple of Bramley apples going spare? 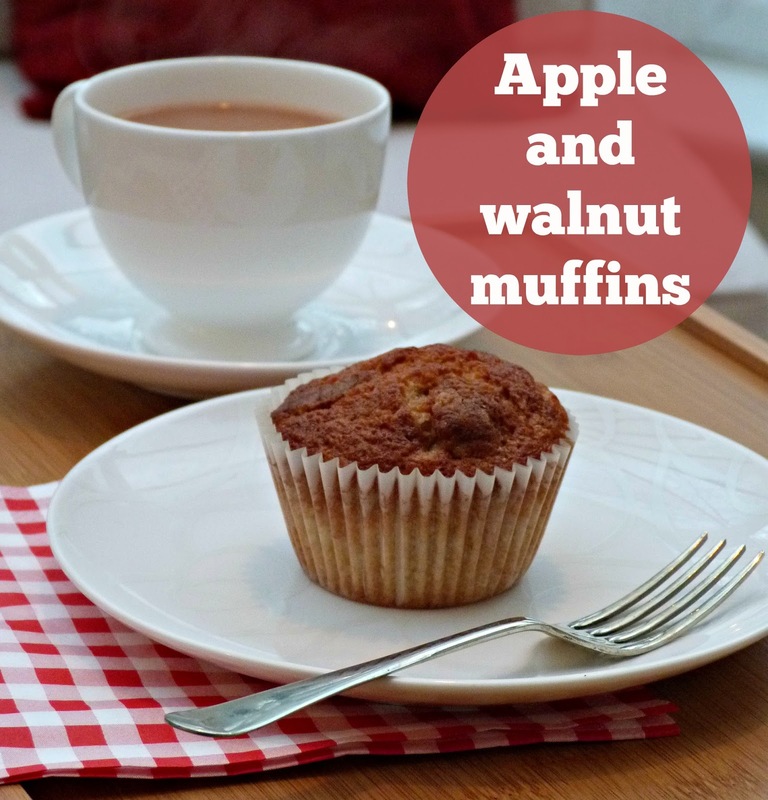 You make apple and walnut muffins, and surely the apple goes towards your 5-a-day? Heat the oven to 200°C/gas mark 6. Line a 12-hole muffin tin. Put the chopped apple into a pan with a splash of water and simmer for 5 minutes on a low heat until just starting to soften. Leave to cool. Put the flour, sugars, baking powder, spices and nuts into a large bowl and give a quick stir around to mix everything. Make a well in the middle. Beat together the eggs and the oil and pour into the dry ingredients along with the cooked apple. Mix together to combine. Divide the mixture between the muffin cases leaving some room for the mixture to expand. Bake for 25-30 minutes until risen, golden and delicious. Cool on a wire rack.